What exactly is our motivation, what drives us to admire, enjoy, defend and educate ourselves about these fine feathered beauties? I have no doubt that every one of us, at least to some extent, have a different story. Was there a parent, friend or family member that took you out to look at birds for the first time? Is there in fact a single person, or was it the proverbial “village” that sparked that interest? As I have begun to mature in both my life, as well as my birding profession, these are the kind of questions that have started to appear in my ever diminishing gray matter. For me, it has always been about the photography, having started at a very young age with a Leica in hand. At the naïve age of 14, there was a freak piece of luck, catching a diving tern, in the middle of a nicely focused lens, with an adequate amount of shutter speed to stop all motion, That one shot has remained firmly in my mind, as something of a pinnacle, the one image that I will always aspire to recreate. Literally, hundreds of thousands of photos later, I know that I have certainly surpassed that young boys skills, and have produced countless images that exceed the image that my mind remembers. 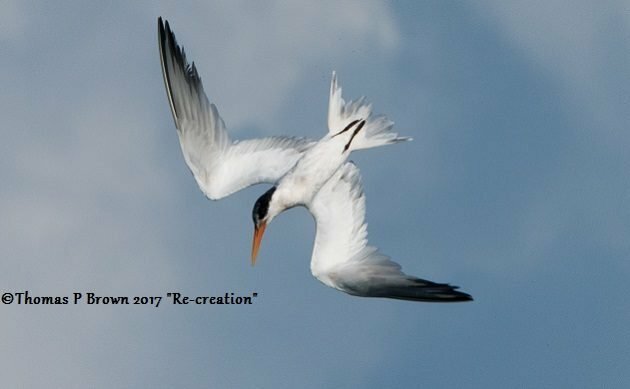 But that one tern, that one stop action photo that captured my imagination, will always be the impetus that got me started. Yet, the question still remains, why birds? If it were merely the beauty, the diversity, then why not flowers? If it was just those qualifications alone, then there would be no contest. Depending on what source you refer to, there are as many as 8.7 million flower species on earth, although the consensus seems to be around 1.8 million. They are found on every continent, and certainly are more likely to wait in place to be observed. From what I have been able to find, it is not a male/female thing, as the numbers of birders around the world seems to be pretty balanced between the sexes. Perhaps it is that quirk of human behavior, the one that is always looking for a challenge, that makes the difficulty factor of finding each of the species so appalling. Goodness knows they don’t sit around and wait for you to just stumble upon them. You have just to look back at the lengths that each of us have gone to find that new species. I am sure that each of us has our “Unicorn”, that one bird that does not seem to oblige, and provide us with a glimpse. That one bird that we are more than willing to go to the ends of the earth to track down. That aspect then obviously leads to a desire to travel, to visit exotic locations in order to add a new species or two to that ever important Life List. Thinking about countries like Costa Rica, which certainly fall into the “Birding Nirvana” category, or perhaps the Galapagos Islands? I know that in a large part due to Patrick O’Donnell’s posts on here, Costa Rica has climbed into the number one spot on my Bucket List. Does this then mean that it is all about the travel, or is it still all about the birds? Do we really need a reason? Perhaps we just celebrate the fact that they are here, and we get to enjoy them, no matter what motivation drives each of us. I’d have to answer “not just birds”. I’ve always been about nature. I was a diver, a compulsive lister of the marine fish I saw, long before I took much interest in birding. Birds are simply the easiest terrestrial vertebrates to watch, but I’ll happily hunt down interesting herps or mammals too. If I could write my own life, I would be on safari in Africa, all day, every day. Since that is not possible, I take the next best thing that I can accomplish with however much effort I am prepared to put in on any given day. Birds are so well documented and birders are so well catered for, that watching birds became my alternate safari.